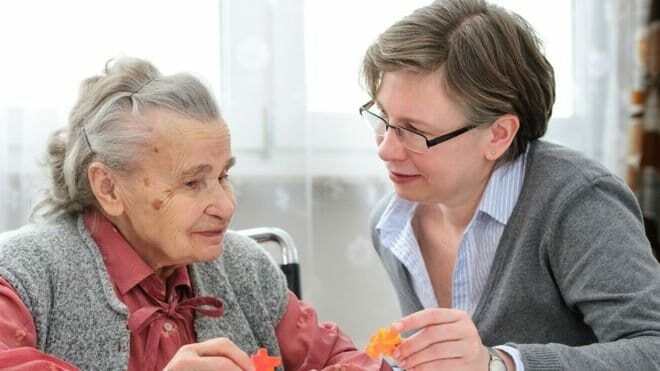 You may notice the person with Alzheimer’s confusing words, getting frustrated or angry, or acting in unexpected ways, such as refusing to bathe. Damage to nerve cells in the brain can make it difficult to express thoughts and perform routine tasks. In the final stage of this disease, individuals lose the ability to respond to their environment, to carry on a conversation and, eventually, to control movement. They may still say words or phrases, but communicating pain becomes difficult. As memory and cognitive skills continue to worsen, personality changes may take place and individuals need extensive help with daily activities.